Northern Kentucky University invites undergraduate and graduate students to apply for admission to NKU as freshmen, transfer students, readmitted students, post-baccalaureate students, international students, and non-degree students. This section discusses the application process for all prospective students except international and graduate students. Information for international students is provided in the International Admissions and Enrollment section. Graduate students should refer to the graduate catalog. Potential applicants are encouraged to contact the Office of Undergraduate Admissions or the Transfer Service Center if they have questions or would like assistance with the application process. All students shall be free from discrimination based on race, color, ethnic origin, national origin, color, creed, religion, age, gender, marital status, sexual orientation, uniform service or veteran status, physical or mental disability or political belief. Students interested in NKU freshman scholarship opportunities must apply by this deadline. A separate scholarship application is required for some scholarships and must be submitted by the early action date. For freshman applicants applying for spring semester admission: Students meeting this deadline will be invited to participate in a December orientation and advising session. For transfer/post-bachelor/readmission applicants: This deadline ensures adequate time for full consideration of the application file and allows time to schedule an advising appointment prior to selecting classes. Students applying after this deadline risk not being admitted if NKU reaches capacity for new freshmen or transfer students. Applicants could be placed on a waiting list, deferred to a subsequent semester, or denied admission. This is the deadline by which students must confirm their intention to enroll by submitting the nonrefundable confirmation fee. This is the last date a student can submit an application for admission consideration. An online application form (http://apply.nku.edu). *See the section on Application and Enrollment Fee Policies for information on fee waivers and fee exclusions. A notarized statement from the home-school teacher detailing the content of the student’s home-school curriculum, letter grades, and the duration of each course. Completed high school classes and their relation to the Kentucky minimum high school graduation requirements. ACT composite and sub-scores in English, mathematics, and reading; or SAT total* and sub-scores in writing, mathematics, and critical reading. Applicants 21 years of age and older may submit COMPASS or ACCUPLACER scores in place of ACT or SAT scores. *Combined mathematics and critical reading score. The purpose of this evaluation is to determine the applicant’s preparation for college-level coursework. The evaluation considers whether the applicant meets the minimum requirements for admission set forth by both the Kentucky Council on Postsecondary Education and NKU. NKU’s freshman admission standards are available online (http://nku.edu/standards). All degree-seeking freshmen must submit a final, official high school transcript upon graduation. Final transcripts must be received prior to October 1 to ensure eligibility for continued enrollment and student financial assistance. The Kentucky Pre-College Curriculum was established by the Kentucky Council on Postsecondary Education. It is a prescribed set of high school courses required for admission to an associate or baccalaureate degree program at a Kentucky public institution. Students admitted to the university not meeting a specific PCC area (or areas) are considered to have one or more academic deficiencies that must be remediated by completing prescribed courses in mathematics, English, social studies, sciences, and/or foreign language areas. Exception 1: Students who are 21 years of age or older by the first official day of the full semester in which they are admitted, or who will be turning 21 years of age during the semester they are admitted, are exempt from completion of the PCC and admission standards. They are still subject to CPE College Readiness Standards. Exception 2: A student with a PCC deficiency who achieved an ACT or SAT score that falls within the top 60 percent of all ACT/SAT test takers on a particular test date for English, mathematics, or science will not be considered to have a PCC deficiency in that specific area. *A student may substitute an integrated, applied, interdisciplinary, or higher-level course within a program of study if the substituted course offers the same or greater academic rigor and the course covers or exceeds the minimum required content. All freshman students offered admission to NKU will be placed in one of two categories: regular admission or admission with conditions. A diploma from an accredited high school with a minimum cumulative high school GPA of 2.00 on a 4.00 scale. A general equivalency diploma (GED). Documented completion of an approved home school or distance learning high school program. A minimum ACT composite score of 20 and minimum English, mathematics, and reading subject scores of 18. A minimum SAT composite score of 1020 (combined mathematics and critical reading scores) and minimum subject scores of 25 in writing, 23.5 in mathematics, and 25 in critical reading. Students are required to submit all required credentials to be considered for admission. NKU reserves the right to verify authenticity of all submitted educational credentials. Admission with conditions may be granted to a limited number of students who do not meet all criteria for regular admission. Conditionally admitted students are required to take placement test(s) and enroll in any required developmental courses during their first year. Students who are granted admission with two or more academic deficiencies are assigned to Norse Advising. Norse Advising advises students regarding their academic plan and refers students to appropriate support programs. The students may have a limited course load for their first semester. The limited course load and mandatory academic support may be continued if a student is not in good standing after his or her initial semester. Students admitted with conditions may not declare/change a major until all conditions are satisfied. First-time freshmen who are granted admission with two or more academic deficiencies will be admitted to an associate degree program and must participate in the Pathfinders Program. * Through the Pathfinders Program, students must participate in a variety of advising appointments, study sessions and special programs to maintain their enrollment eligibility. Please visit the website for specific details (http://pathfinders.nku.edu). *Students who are 21 years of age or older are exempt from the Pathfinders Program and should follow the requirements outlined in #2 above. Some applicants with two or more academic deficiencies could be placed on a waiting list to have their files reviewed by an admissions committee. A limited number of wait-listed students with the strongest academic record may be offered admission if there is space remaining in the freshman class. Applicants who are denied admission are encouraged to complete 24 semester credits of coursework at a regionally accredited institution or one with which NKU has an articulation agreement, and successfully complete all required developmental academic work prior to applying as a transfer student. Potential transfer students with a GPA of at least 2.00 and fewer than 24 transferable credit hours must supply the following credentials; applicants are evaluated based on the freshman admission standards. Potential transfer students with lower than a 2.00 GPA may apply but are not guaranteed admission to NKU. They must adhere to the following deadline dates and submit all required application materials. Their applications are reviewed by a committee, and decisions of the committee are final. A $40 nonrefundable application fee*. To be considered for regular admission, transfer applicants must have a 2.00 GPA. Students are required to submit all required credentials to be considered for admission. NKU reserves the right to verify authenticity of all submitted educational credentials. Admission with conditions may be granted to a limited number of transfer students who do not meet all criteria for regular admission. Conditionally admitted students may be limited to a 12-credit course load for their first semester. 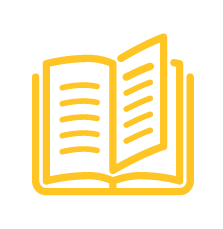 Once admitted to NKU, transfer students will receive a full transfer credit evaluation applying NKU’s policies on transfer credit that appear in the University Policies and Procedures section of this catalog. A completed transfer credit evaluation report shows which courses have been accepted and how each course will transfer to NKU. Once the student receives this report, the student is ready to meet with an academic advisor who will answer questions such as what courses are needed for the student’s chosen major and how the transfer work will apply to the student’s general education, major, and minor requirements. Academic advisors also assist students with course selection for registration. Transfer students are eligible to register based on their number of earned credit hours. The Kentucky Council on Postsecondary Education (CPE) and other Kentucky public institutions developed and approved the Kentucky Transfer Policy to facilitate student progress toward graduation and to ease the transition between state institutions within Kentucky. Under this agreement, students who complete a general education category at a Kentucky public institution from which they are transferring will have that category fulfilled at NKU. In addition to general education, the Baccalaureate Program Transfer Frameworks identify 12 hours of coursework in specific majors that may be successfully transferred. Each framework has a specific guide to the exact courses that a student must complete. Students should work closely with advisors at their home institutions to ensure they are taking framework courses for transfer to NKU. For more information regarding this policy, students should contact the Office of Transfer Services at 859-572-5220. Students transferring to NKU in the Spring 2017 forward, who have earned an AA or AS degree as of Fall 2012 forward from a US regionally accredited transferring institution, will be considered complete for their general studies framework at NKU. A student may be required to take an additional general education course if that course is a prerequisite for a specific major or the major requires a higher grade for the course. Northern Kentucky University has established formal articulation agreements with a variety of colleges and universities. These agreements facilitate the transfer of credits to NKU and specify how the credits will contribute to satisfying general education or other degree requirements. Students should alert their academic advisor if they have completed a program that is governed by a formal, approved articulation agreement between their prior institution and NKU. For specific information, contact the Office of Transfer Services at 859-572-5220. The Kentucky Council on Postsecondary Education has established the following college readiness standards for all incoming freshmen and transfer students. Failure to meet one of the standards constitutes a deficiency. Students who do not meet the college readiness standards are required to take a placement test in every area in which the standard is not met. Placement tests must be taken prior to orientation and registration in any course at NKU. Each placement test can be taken only once. However, students may opt to re-test once after 30 days have passed from the initial placement test. Students register for placement tests online (http://testing.nku.edu). Post-traditional students who are admitted based on COMPASS/ACCUPLACER scores are not required to take placement tests. Students with an academic deficiency are required to enroll in all necessary developmental courses during their first two semesters at NKU. Developmental courses do not contribute to the credits required for graduation and will not be calculated in the GPA. Please refer to Learning PLUS in the Academic Support section of this catalog, or the Learning PLUS website (http://plus.nku.edu/) for more information and a listing of available developmental courses. Official transcripts from each college attended since leaving NKU if applicable. Official transcripts from each college attended other than NKU. Transfer coursework for a Post-Baccalaureate student is subject to departmental approval and is not evaluated in its entirety. Post-Baccalaureate students are considered to have completed general education requirements. Have completed the sophomore year of high school at the time classes are taken. Have earned a cumulative high school GPA of at least 3.0 on a 4.0 scale. Have earned an ACT composite score of 20, or the equivalent SAT/PSAT scores. If a student does not have any of these test scores, they can be admitted with a 3.0 GPA and recommendation from their HS Guidance Counselor*. Maintain a grade of C or higher in each college course completed prior to high school graduation. Have written permission from a parent or guardian via a signed disclosure form. *Meet all prerequisites for the specific NKU courses in which they intend to enroll. For some courses, prerequisites include minimum ACT sub-scores in English, mathematics, or reading. A disclosure form signed by the student and a parent/guardian. To be eligible to continue in the School-Based Scholars Program, students must achieve a grade of C or higher in each SBS course. Continuing School-Based Scholars must submit an updated official high school transcript with high school GPA and ACT test scores (if taken or retaken since previous submission of credentials) prior to enrollment in subsequent semesters. For applications and deadlines for each semester, interested students should see their high school guidance counselor or visit the SBS website (http://nkusbs.nku.edu). Application materials are usually picked up through the high school; however, documents may also be sent via email (nkusbs@nku.edu) or by fax (859-572-1905). NKU is also a participating postsecondary institution in the Kentucky Dual-Credit Scholarship Program created through KY HC 206 (2017); therefore, Kentucky public high school students may be awarded a dual credit scholarship for up to two courses over the course of their high school career. For 2017-18, this scholarship was available to Kentucky public, private, and home-schooled students. Slight variations to this program occur each year. For more information about this scholarship and if a student is covered, please contact your high school guidance counselor. The Kentucky Department of Education also offers the Mary Jo Young Scholarship for eligible students with financial hardship. Please contact your high school guidance counselor for application information and deadlines. General non-degree students are those who do not intend to enter a degree program at the time of application. Non-degree post-baccalaureate students are those who have previously earned a bachelor’s degree and intend to enroll for additional undergraduate credit as non-degree seeking. Visiting students are those who attend another college or university but wish to enroll at NKU for one semester. These students are responsible for having coursework approved by the institution to which the work will be transferred. Visiting students, except for ones who enroll through the Greater Cincinnati Collegiate Connection, may not enroll at NKU for more than one consecutive semester. For the purposes of this rule, all summer terms taken together are considered one semester. A $40 nonrefundable application fee. To apply for non-degree admission, an applicant must have a high school diploma or GED. A maximum of 36 semester credit hours earned as a non-degree student may be applied to a degree at NKU. Non-degree students are NOT eligible to receive federal financial aid. To facilitate the admission process, prospective non-degree students are strongly encouraged to apply and supply all required credentials by the deadline given above. Requests for exceptions to admission deadlines will be reviewed by the admissions director. Non-degree students are required to meet the prerequisites for all courses they wish to take. Students who choose to become degree-seeking at a later date must submit a new application for admission, pay the application fee, submit all required credentials, and meet the appropriate admission deadline. Permanent residents should file the standard domestic application for admission. Permanent residents must submit application materials as listed in the appropriate admission category: freshman, transfer, post-baccalaureate, readmission, and non-degree. Applicants must submit a copy of their Permanent Resident Card. Permanent residents will be evaluated based on the standards used with domestic applicants. If a student is unable to supply a Permanent Resident Card, please contact the Office of Admissions at 859- 572-5220 for alternate document types that may be submitted. Permanent residents may also be required to take placement tests to determine placement in English and mathematics courses at NKU. The transfer evaluation of foreign documents requires an evaluation by a foreign evaluation service. NKU only accepts evaluations from companies which hold active membership in the National Association of Credential Evaluation Services. You can find a list of members on the web (http://www.naces.org). Students must submit certified English translations (if applicable) along with original foreign language transcripts for all university and/or postsecondary coursework completed overseas. Students must submit detailed course descriptions and/or syllabi of all completed coursework in order to be considered for specific transfer credit. Online Learning provides administrative and student-support services for 25 fully online degree programs and certificates at the undergraduate and graduate levels plus hundreds of online courses. Through online learning, students can complete their educational goals at a time and place convenient to their schedule. The current list of online degree programs may be found at (http://www.nku.edu/admissions/adult/online.html). Admission criteria and application procedures for online programs can be obtained by calling 859-392-2400 or sending an email (mccoyk8@nku.edu). There are regulations pertaining to post-secondary online instruction. These laws and regulations apply to online, distance, and correspondence educational instruction offered to permanent state residents. Kentucky is a member of the State Authorization Reciprocity Agreement (SARA) and Northern Kentucky University is an approved SARA institution. SARA allows institutions to offer distance education courses and programs to other SARA participating institutions and ensures adherence to national standards for postsecondary distance education. We work through the SARA process and with states to ensure that when authorization or licensure of online programs is necessary, required approvals are secured. It is the student’s responsibility to understand the current status or special requirements related to the authorization of distance education in their state of residence. For more information about SARA, please visit (http://www.nc-sara.org/). If considering an academic program that leads to a professional licensure (example: Education or Nursing), it is recommended students first contact the appropriate licensing agency in their home state prior to starting a program outside their state of residency. It is the student’s responsibility to contact the appropriate licensing entity in the student’s home state to confirm whether a NKU program will meet the requirements for licensure in that state. Although a program may be available in your resident state, there may be additional obligations required by the institution and NKU has the right to determine if program will be available in state of residence. This institution is authorized by The Indiana Commission for Higher Education/The Indiana Board for Proprietary Education; 101 West Ohio St., Suite 670; Indianapolis, Ind. ; 46204-1984; 317-464-4400 Ext. 138 or 141. NKU is required to provide all current and prospective out-of-state students with the contact information of the state agency that handles complaints against institutions of higher education within that state. Enrolled students are encouraged to utilize NKU’s internal complaint and review policies. State-specific information is available on the web (Complaint Process Links). For adults who started their bachelor’s degrees years ago but left college before finishing, Project Graduate provides an opportunity to complete a degree. This statewide initiative assists adult learners who have accumulated 80 credit hours to return to finish their first bachelor’s degree. NKU Project Graduate benefits include personalized advising and limited scholarship opportunities for both prior and new transfer students. Prospective students can find out if they qualify by calling 859-392-2400, or by visiting (http://www.nku.edu/admissions/adult/projectgraduate.html). Northern Kentucky University will grant credit to enrolled students based upon established prior learning assessment equivalencies. Additional Credit for Prior Learning assessment options may be found in the Policies and Procedures section. Students may receive credit for certain approved courses via portfolio development for learning that has occurred through their military, career, and non-academic experiences. A portfolio is a set of written documents (and in some cases, oral supplements) that demonstrate experiential learning equivalent to the learning objectives of a specific course. Prior to development of a portfolio, the student must schedule a meeting with an advisor to determine program eligibility. For each portfolio attempted, the student will work with a faculty evaluator who will determine whether the portfolio and the student’s experience meet the learning objectives of a specific course. Credit is granted upon recommendation of the faculty evaluator with approval from the appropriate department chair and dean. 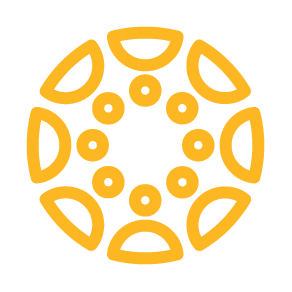 For more information about Credit for Prior Learning Portfolio, email (mccoyk8@nku.edu) or call the Prior Learning Specialists in Norse Advising at 859-392-2400.
Credit may be awarded based on educational programs offered by many large corporations or nonacademic institutes. Only programs approved and recommended by the American Council on Education will be considered for credit. Students may request evaluation of credit by sending the ACE transcript “Registry of Credit Recommendations” and appropriate course outline(s) to Prior Learning Specialists in Norse Advising. More information can be obtained by calling 859-392-2400. NKU provides noncredit lifelong learning programs covering a wide range of topics in a variety of delivery styles. Courses are available in NKU classroom settings and in various online formats. 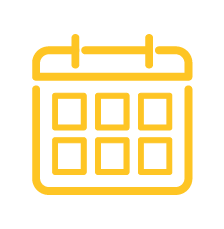 The current schedule of noncredit continuing education programs offered by the Office of Community Connections is online at (http://communityconnections.nku.edu/). More information may be obtained by sending an email (connect@nku.edu) or calling 859-572-5600. Community Connections advances the university’s commitment to public engagement through noncredit personal development programs, elementary and secondary educational outreach, and event support services for university-sponsored activities, thus facilitating faculty, staff and student involvement in outreach and community engagement. A high school counselor or principal. A Talent Search counselor, Upward Bound official or Student Support Services representative. A state of Kentucky representative issuing a Certification of Financial Assistance. ACT/SAT application fee waiver request. Students from the Greater Cincinnati Collegiate Connection are not charged the application fee if they apply as a non-degree visiting/consortium student. If applying as degree-seeking student, the application fee is required. Students whose last attendance was at an institution within the Kentucky Community and Technical College system are not charged an application fee. Alumni who have earned a bachelor’s degree from NKU will have the application fee waived for future undergraduate applications for admission. The application fee is waived for faculty and staff, as well as for spouses or dependents of NKU faculty or staff who are eligible for the tuition waiver. NKU faculty or staff must supply a current NKU ID to the appropriate admissions office. Students who participated in NKU’s School-Based Scholars program (prior to Spring 2017) are not charged an application fee. Students who participated in NKU’s School-Based Scholars program after Spring 2017 must pay an application fee to be admitted as a degree-seeking student unless they qualify for a different exemption. All veterans are not charged an application fee. Qualified employees of EdAssist partners may request the application fee be waived at time of application. Paid application fees may not be refunded. Students who participate in the CState2NKU Transfer program are not charged an application fee. All first-time, degree-seeking, new undergraduate students who will enroll in six or more semester credit hours must confirm their intention to enroll by submitting the confirmation fee form with a nonrefundable $75 confirmation fee payment. The deadline to submit the confirmation form and fee is May 1 for the summer and fall semesters and December 1 for the spring semester. Students admitted after these deadlines will have two weeks from their date of acceptance to submit the Enrollment Confirmation Fee. International students will be charged at the time they enroll for their first semester at NKU. Residency affects a student’s classification for tuition purposes. Students are notified of their residency status when they are admitted to the university. Residency status is determined in accordance with the state of Kentucky (CPE) classifications. Relevant portions of the policy are given in the appendix of this catalog. Students who wish to appeal their initial residency classification or request a change of residency must complete a residency affidavit packet. Packets may be obtained from the Office of the University Registrar, Lucas Administrative Center 301. 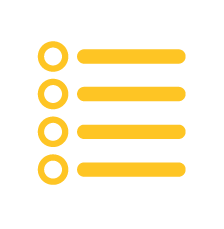 Residency packet deadlines and residency FAQs are available online (http://inside.nku.edu/registrar/forms-records/residency.html). Admission to NKU does not guarantee acceptance to all academic programs. The following academic programs have requirements above those listed for regular admission: biological sciences, chemistry, communications, data science, health science, honors, international studies, nursing, radiologic technology, and respiratory care. Music and BFA programs may have additional requirements such as a portfolio or auditions. Please review program admission requirements listed in the appropriate section of this catalog. As students begin to prepare for the transition to college, NKU has developed a comprehensive orientation program to assist all incoming students in cultivating their own individual support network at the university. Northern Exposure: Registration and Orientation is designed to foster an enduring connection between the students, their families and the NKU community. Through interactive experiences, students will become informed and skilled consumers of the academic programs, comprehensive services and engagement opportunities offered at NKU. While Northern Exposure is mandatory for all incoming students, we do have separate orientations for new first-time freshmen, post-traditional students, veterans and transfers. Students enrolled in an online degree program will complete an online orientation. For new traditional-age first-time freshmen, Northern Exposure is required and consists of a two-part process known as Registration and Orientation. Registration consists of a one-day advising and registration program (dates in June and July) AND Orientation consists of three days of orientation (in August). Northern Exposure allows students to become familiar with academic departments, register for classes, and learn about the variety of services and leadership opportunities available to them as NKU students. All traditional-age first-time freshmen are required to attend BOTH Registration and Orientation to fulfill their mandatory orientation requirement. Students are encouraged to bring their parent(s)/guardian(s) to the one-day registration program as there will be a parent/guest program schedule running concurrently with the student schedule. Orientation for transfer* students is held in concurrence with the new, first-time, post-traditional student orientation. This is a one-day program offered in a conference-style format, that will educate students on the many services that NKU has to offer, answer questions they may have about college life and help them begin to build a strong success network at NKU. During each orientation experience, students will have the chance to meet with faculty and staff from their respective college or school, new classmates, and current students. Students will also learn about the campus resources available to enhance their success from their first semester to graduation. For transfer students, the orientation program depends on how many earned hours they are transferring to NKU. They may be eligible to participate in SCOOP: Student Centered Online Orientation Program versus attending the one-day, on campus program. Students who are veterans (defined as being a member of a branch of the U.S. military or receiving benefits), may choose to attend the veteran track available during the one-day transfer/post-traditional orientation programs. The veteran track will provide more specific information about our nationally-recognized student veteran organization, our Veteran Resource Station, the veteran education benefit process, how benefits impact financial aid eligibility, and the full range of campus resources available to veterans attending NKU. Advising and course registration is not included in the one-day orientation program for transfer, post-traditional and veteran students. Students should contact their advising centers directly to make an advising appointment prior (if possible) to their orientation. *Transfer students are eligible for priority registration based on the number of earned hours they are transferring to NKU. For more detailed information, students should consult the orientation website (http://orientation.nku.edu) or contact the Office of New Student Orientation and Parent Programs at (859) 572-1967. Know yourself. NKU classes are offered at a variety of times throughout the week: morning, afternoon, evening, and weekends. There are classes offered in a traditional face-to-face classroom on the main campus, classes offered online, and classes at the Grant County Center. What works best for you? Are you a morning person? What kind of outside obligations do you have? Will family or work responsibilities impact the time you can take classes? Do you like the idea of online classes that require more self-directed learning? Balance the types of courses you choose. In a single semester, do not take five heavy reading classes, or three mathematics courses, or several heavy writing classes. Seek variety in the kinds of courses you will be taking. Balance the times of courses you have in your schedule. Most courses meet Monday, Wednesday, and Friday for 50 minutes or Tuesdays and Thursdays for 75 minutes. Avoid taking all classes on the same few days. If you cannot avoid it, then be sure to schedule some breaks during the day so you have time to get up, walk around, and get something to eat. If you need to take developmental classes, take them as soon as possible. These classes are essential to academic success in college-level courses, and they must be taken within the first two semesters of enrollment. Meet with your advisor early in the semester to review your educational plan and choose your courses for the upcoming semester. Review any developmental courses that you might need. Be sure you are meeting the general education requirements as well as requirements for your major and minor. Academic advising is required for many students and strongly recommended for all students prior to registering for classes. Students who are in good standing may register through myNKU. myNKU is the secure Internet-based portal from which students can access registration (including adding, dropping, and withdrawing from courses), course offerings and class descriptions, grades, official and unofficial transcripts, student accounts (tuition, student fees, and payments), and financial aid. Upon admission, students are issued user names and directed to create a password to access their myNKU account. For myNKU tutorials, students should visit the website (http://inside.nku.edu/content/dam/registrar/docs/registration/NKU_CourseRegistration_Student.pdf). Registration holds prevent students from registering for courses. They are most often established because the student has not submitted final official transcripts, is required to meet with his or her advisor prior to registering, or owes money to the university. Registration holds must be cleared (resolved) before a student can register online via myNKU. The student can still search for courses and place them in the registration cart, but the student must contact the office or department that placed the hold before being able to register. For advising holds, the student should contact his or her academic advisor to make arrangements for clearing the advising hold. If a hold is related to a fee, the fee must be paid before the hold will be released. To release a credential hold, students should contact the Office of Undergraduate Admissions. Generally, holds can be released Monday-Friday between 8:15 a.m. and 4:30 p.m. For more information about holds, students should consult the web (http://inside.nku.edu/registrar/registration/registration-holds.html). University Housing provides housing services for single students who live on campus during the school year. Unless qualifying for an exemption, new first-year students are required to live on campus. Please visit the website for exemption categories (http://housing.nku.edu). Campus housing includes traditional residence hall rooms as well as apartment-style living and suite-style living. Lounge areas, information desks, computer labs, laundry rooms, vending areas, loft/study areas, and space for student recreation are available to students who live in the residential village. NKU can accommodate 2,000 students in on-campus housing. The Association of Campus Residents represents residential students to the Office of University Housing and to the Student Government Association. ACR serves as a sponsor of residential village events and reviews and recommends university policy changes. Housing costs and a virtual tour of all housing room types are posted online (http://housing.nku.edu). One bill covers rent, utilities (electricity, water, and sewage), local phone service (Callahan Hall residents only), cable TV, and internet access. Students have the option to reside on campus for the academic year (fall and spring semesters), spring semester only, or during summer sessions. NKU Dining Services offers more than 15 dining locations and several meal plans to residential and commuter students. Residential students - except those living in Woodcrest Apartments and Northern Terrace rooms with full kitchens - are required to purchase a meal plan. Meal plans for residential students are purchased through the housing application process. Commuter students may purchase meal plans online (http://dineoncampus.com/nku). All students paying for food with “flex dollars” on their All Card will receive a dining discount. These flex dollars can be used in any dining facility on campus and receive the dining discount. Flex dollars will roll over from fall to spring semester and expire the end of the spring semester. Students can purchase additional flex dollars on the food service website (http://dineoncampus.com/nku). AllCard dollars can be added on the AllCard web site (http://inside.nku.edu/allcard.html). See AllCard for additional information.